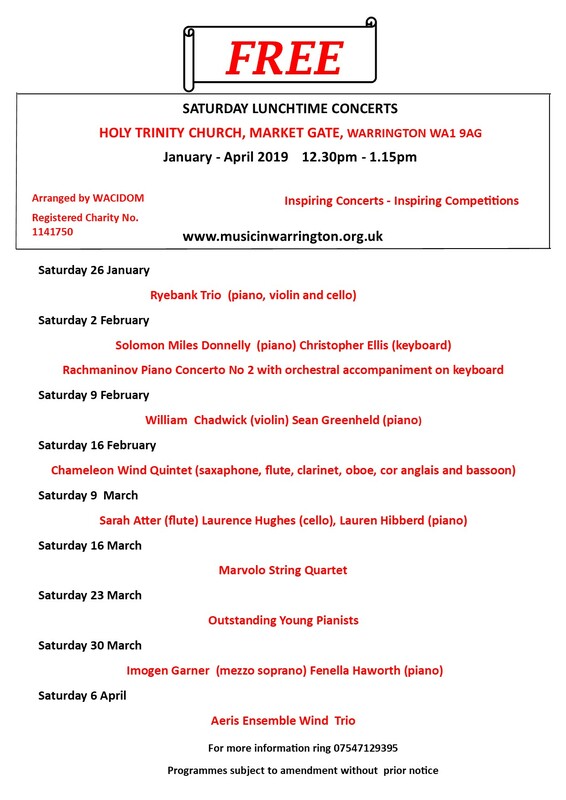 arranges free lunchtime concerts on Saturday mornings in Holy Trinity . The concerts start at 12.30 pm and last for approximately 45 minutes.. 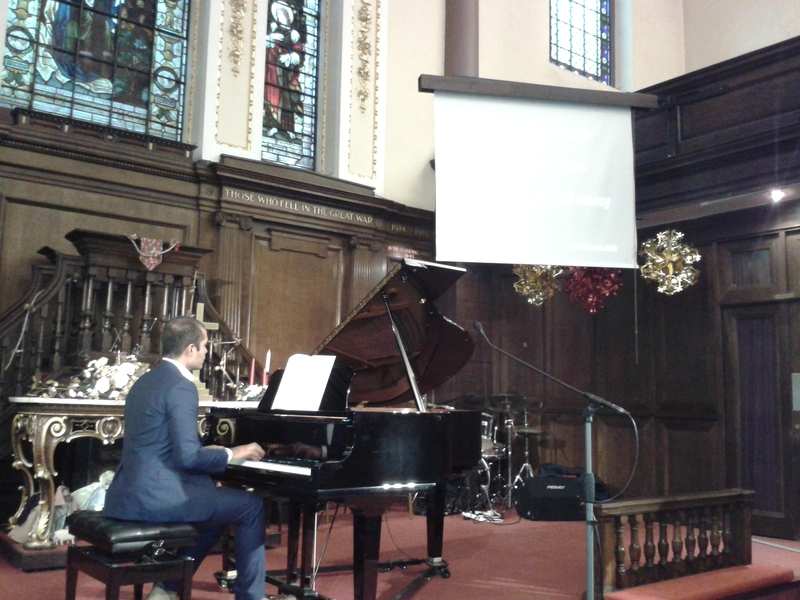 The programme is largely classical music and is always of an excellent standard. WACIDOM started arranging free lunchtime recitals on a regular basis in 2000., and now there are usually about 25 recitals per year. They are normally given by students of Music Colleges (or recent graduates) or gifted local musicians. The recitals benefit the musicians by giving them a platform on which to perform and also the audience by providing a high quality product with easy access in the center of Warrington.